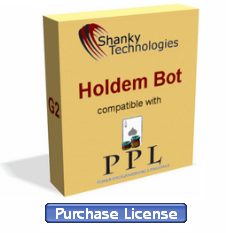 Version 6.3.9 of our Holdem Bot software has been posted and is available for download now. This version re-supports BetnGo Poker and Genting Poker, both on the iPoker network, and both offering $2,000 signup bonuses. Please note that the French room Titan.fr and the Italian rooms Titanbet.it and Sisal.it are also re-supported as of version 6.3.8. 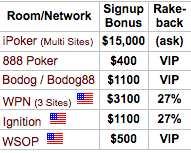 We have quite a few members who received "VIP6 status for life" as part of a signup bonus in the past for BetnGo Poker. This makes clearing deposit bonuses much easier. It just goes to show you the value of jumping on promotions when they appear. If you are one of these lucky folks, you now have the green light to let the bot go nuts on BetnGo again. In other news, Cake Poker has merged with Lock Poker as of June 1, and as a result, Cake has a lot more traffic and the games are really good right now. In addition, Cake is offering promotions to get their old players back in the games. 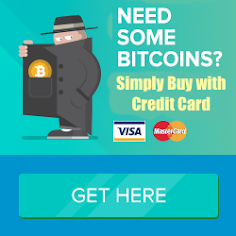 Many dormant accounts have been credited with a free $10, so you may want to login and see if you got it. 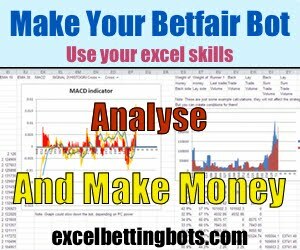 Here is a tip: Try using the free Wild Bill profile at the NL10 6-max tables (and don't be surprised if you book a $50+ winning session). Bodog and Bovada are still supported in version 6.3.9, and are running attractive 'guaranteed' tournaments around the clock. Look for the ones going off on weekdays during business hours, as those frequently have entries which fall short of the guarantee amount, giving all players an overlay. The free Doodle/MTT profile for our Holdem Bot is an excellent player in these events, and has booked many top 3 finishes totally unassisted. That's it for now. See you (or your bot) at the tables.